If you’ve been reading my articles about spas around the world, you might have noticed an emerging pattern. If you haven’t — newsflash: I seem to have taken a liking to getting buck naked in public. I mean, who doesn’t? Right? Righhhhhhttttt? Anyone? Well, ok, fine. Today, for a change, let me tell you about this one time in Iceland when I did not get naked at the spa. It does happen, sometimes. Iceland. Land of fire and ice. Such a fascinating place, filled with lagoons, glaciers, and geysers. As you would imagine, it is also one of the best places on earth to visit spas and natural pools built around thermal sources. The Blue Lagoon, without a doubt, being the most famous. It might sound odd at first to hear that the Blue Lagoon, which is fed by the runoff of a power plant located in a lava field nearby, is the most visited attraction in Iceland. Bathing in geothermal plant water? Absolutely. Opinions are mixed, but a visit to the Blue Lagoon remains, in my opinion, a not to be missed experience for anyone visiting Iceland. I would recommend taking it for what it is: a man-made, extremely popular, a little over-the-top and majorly overpriced, but still drop-dead-gorgeous and very relaxing touristic activity. I mean, would you give the Eiffel Tower a miss? Thought so. As most people elect to rent a car when they arrive in Iceland and the Blue Lagoon is located about 20km from Keflavík International Airport, it is the best possible way to cure your jet lag and the perfect introduction to Iceland (or the best way to get ready to leave Iceland.) Try to sneak one last visit in before you return your car. Fab hotels in Iceland are found everywhere, so it might be a good idea to have your final night near the airport or the lagoon if you’re short for time. That way, you can indulge in one final visit before you go. I elected to make it my first stop as I stepped out of the plane and started my Iceland road trip. 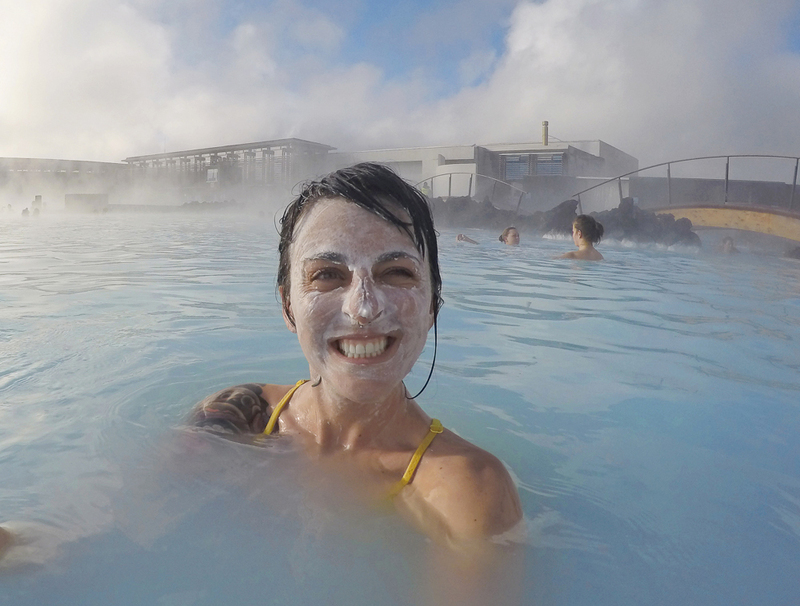 It was quite otherworldly, after a night spent in commute, to look through the mist hanging over the milky blue water cradled by black lava rocks, and the silica mud face mask was lovely. I felt like I had just landed on another planet and I believe my mother felt like she was on some hallucinogenic drugs, by the look of her in these photos! First, there’s the cost. The current cheapest entry price to the blue lagoon is around USD $47. 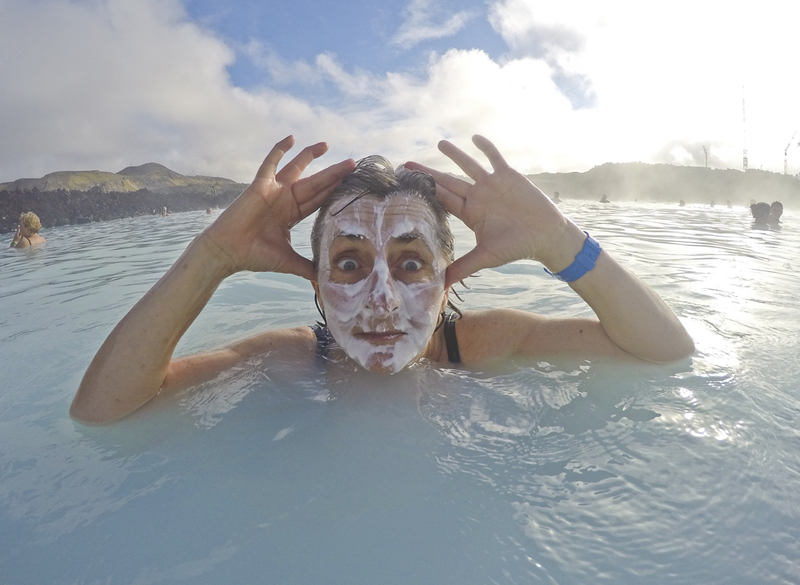 This only grants you access to the lagoon and to the silica mud to slap on your face – which is one of the most fun parts, as you pick it up from a bar located right on the lagoon and make yourself look somewhat silly while you snap some photos (don’t forget your GoPro!). Aside from that, nothing is included — no towel, no flip flops, no bathrobe, nada. At the most luxurious end of the scale, for $230, you get the use of a towel, a free drink, a bathrobe and access to the executive lounge. 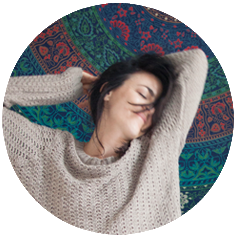 And, in between those, you’ll find a pricing scale involving various small perks. No, the Blue Lagoon is not cheap. Upon arriving at the Blue Lagoon, you will be given a magnetic bracelet that will act as the key to your locker and your access to the various services, bar drinks, snacks, and spa treatments. Whatever you consume that is not included in your package will be charged to you at the end of the day as you return the bracelet. Beware that swimming facilities and spa in Iceland are very, ahem, stringent with swimmers’ hygiene. You’ll find explanatory posters stating which “bits” are to be washed more thoroughly than others prior to entering the premises. Showering is to be done in the buff, and under the watchful eye of a shower police. I am not even kidding. My poor mother was terrified of showering naked, bless her heart. Fortunately for you and her, the Blue Lagoon has several individual shower stalls for all your modesty requirements. I ain’t need those. That’s the gist of all you should know, really. 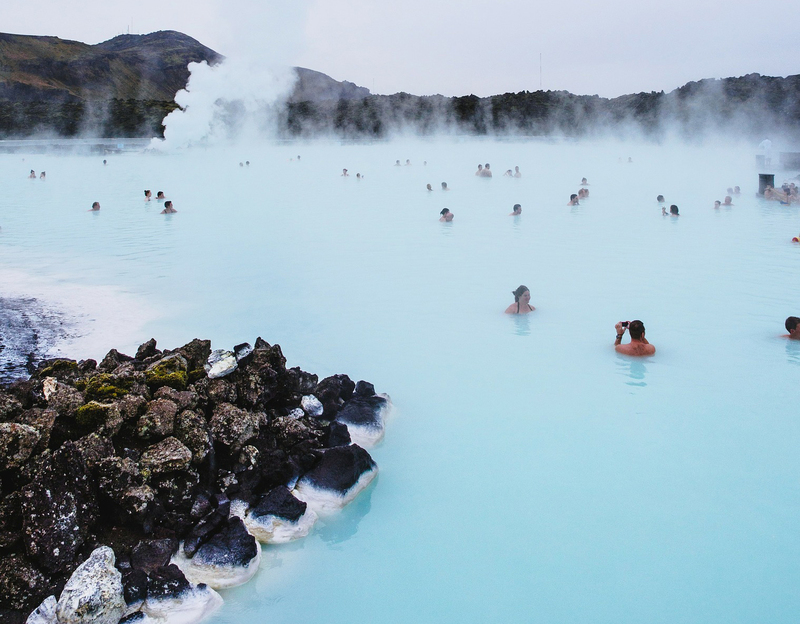 The Blue Lagoon owes its milky blue color to the high silica and sulfur content in the water. The minerals have fantastic healing properties for your skin and make you extra buoyant, so flop on your back and enjoy the feeling of weightlessness. The water is however known to be quite drying for your hair, so go right ahead and soak your manes with conditioner before you jump in. I didn’t listen and put my head underwater anyway, and the aftermath was really not that bad. Despite how man-made the Blue Lagoon has become (they were in the process of actually building a resort when I was there in April), you really should not miss visiting at least once. This entry was posted in Europe, Iceland, Travel on January 13, 2017 by Amélie. Despite that it is indeed a magnificent place to visit! Hehe to each their own, for me it’s all part of adventure and traveling – getting in uncomfortable situations trying to blend in with the locals. True! I’m glad I tried it though! I agree with your assessment – if you go to the Blue Lagoon knowing what it is and what you’re getting for the money, it’s really a fun experience and I think it’s not to be missed too. I would love to indulge in the Blue Lagoon but i didn’t realize how pricey it was. #230 is insane for just a day of pampering, without having any hands on you or sweet smelling expensive products. LOL Looks like you had a super time! That is pricey! Wow, I’d hate to spend all that money and be packed in with a bunch of other visitors. But, it does seem like the Blue Lagoon is one of those Iceland musts. Glad you and your mom had fun and you definitely gave me something to think about. Not sure I’d be showering with the shower police keeping watch! I’m all for a modesty stall. We have not been to Iceland but it is on the list! I agree that sometimes you just do the “touristy” things for the experience – we like to do both on the tourist track and off! I had no idea it was so expensive however, my husband would have a freakin cow LOL ! A shower police! WOw! But yeah I agree sometimes we need to experience touristy things. I like checking out the alternatives though. Wow! This seems like a piece of paradise. As soon as I go to Iceland, I’ll visit the Blue Lagoon! When’s the best time of the year to do so?